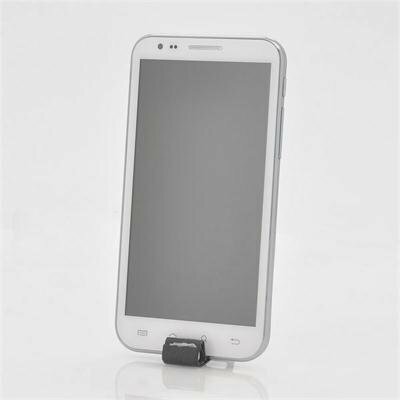 Successfully Added Android 4.1 3G Phone "Marble" - 5.7 Inch 720p Screen, 12MP Camera, 1GHz Dual Core CPU, 1GB RAM (White) to your Shopping Cart. Android 4.1 phone featuring a 5.7 Inch 320DPI 720p Super HD screen, a 1GHz dual core CPU, 1GB RAM, and a 12MP back camera. The “Marble” Android Jelly Bean phone is a phone with rock solid specs. Enjoy watching movies and pictures on its bright high definition IPS screen with a resolution of 1280x720 and a pixel density of 320 DPI. Note that this is a better pixel density then most branded high end phones can deliver. A 1GHz Dual Core processor keeps the “Marble” running smoothly when multitasking and the 1GB of RAM can take on even the most demanding apps without problems. The 12 Megapixel back camera of the “Marble” Android Phone shoots pictures at an unseen resolution in the mobile phone world and captures your favorite moments just like a professional camera. Share your multimedia with friends and family through Bluetooth and stay connected to the internet always and everywhere using 3G or the fast Wi-Fi b/g/n. Work- and private life are now easier than ever to separate thanks to the Dual SIM function which allows you to switch between to SIM cards with just a press of a button. The huge Google play store offers over 600.000 apps available for immediate download and Android 4.1 is now even faster than its predecessors due to some major updates. Brought to you by the leader in wholesale Android phones, the “Granite” is now available in stock and offered at an extreme low wholesale price. Enjoy our 12 month warranty and next day shipping now! The phone has exceeded expectations. I bought it for my wife and it is an ideal size for a woman to carry in a handbag or coat pocket. She finds the large screen comfortable and pleasant to view and the on screen key pad easy to use. The specification and performance are excellent for the price. It scores 2623 on the Quadrant Standard benchmark test. 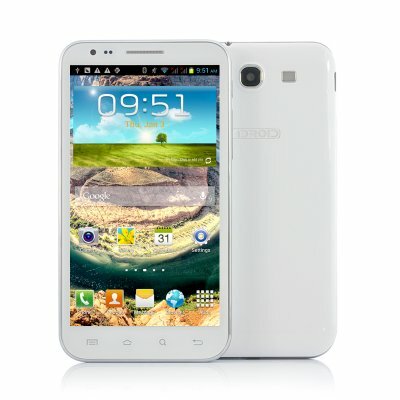 An important factor in choosing this phone was the 3200mAh battery. It will last all day for most users and up to 3 days with light use. A spare battery is also supplied. The phone is supplied with a standard back and a back incorporating a flip over screen cover. Only negative is the UK mains adapter supplied. The live sockets for plugging in the 2 pin battery charger do not incorporate safety shutters to prevent accidental access to 240V. A UK shaver adapter can be used instead. Bought it for my wife as her birthday present. She loves it. She is getting many compliments on the phone. Yet to see if it becomes available in the US. on 2013-04-09 00:37:38 LOVE THIS PHONE! I could not decide between getting a new phone or a tablet and this phone was perfect and very affordable! I love it and have had so many compliments on it. I have yet to see this phone available in the states. People ask me what it is all the time. Videos look great on the large screen which I can see without my glasses! I can now use this as entertainment and for work!